My new website is up! 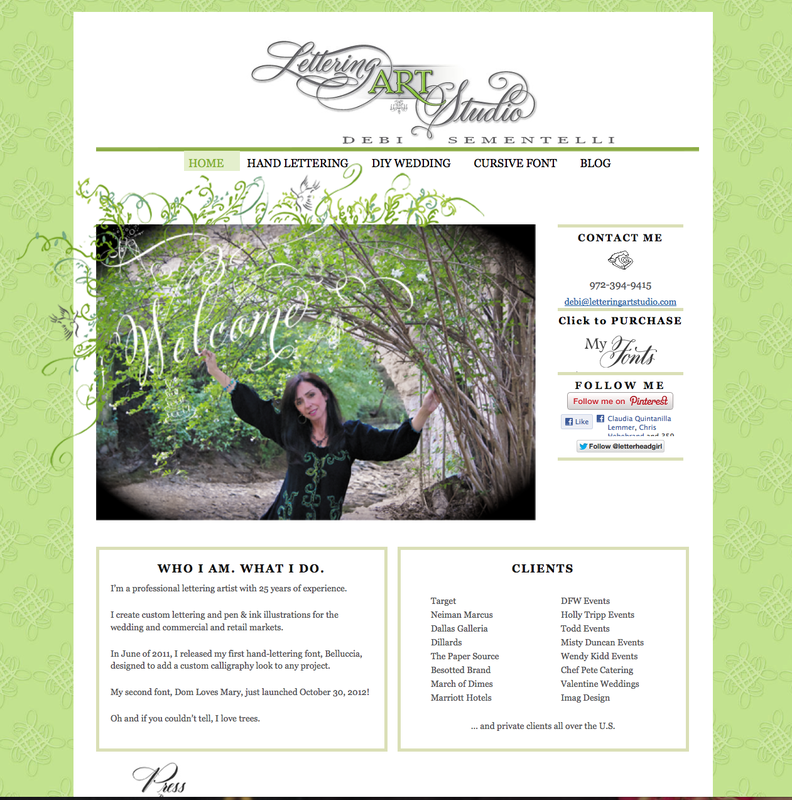 It incorporates my website and blog on the same site. It’s actually been up for a while but I’m just now getting around to asking you to make the switch to my shiny new blog. Pretty please?? Here’s the Hand Lettering Page. 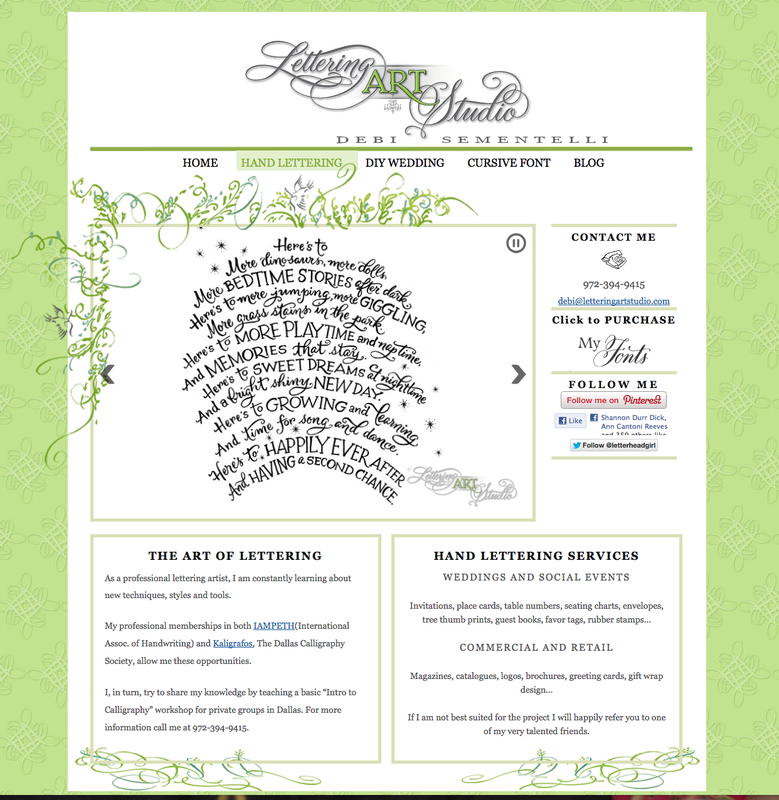 You can scroll through and see samples of my custom work. 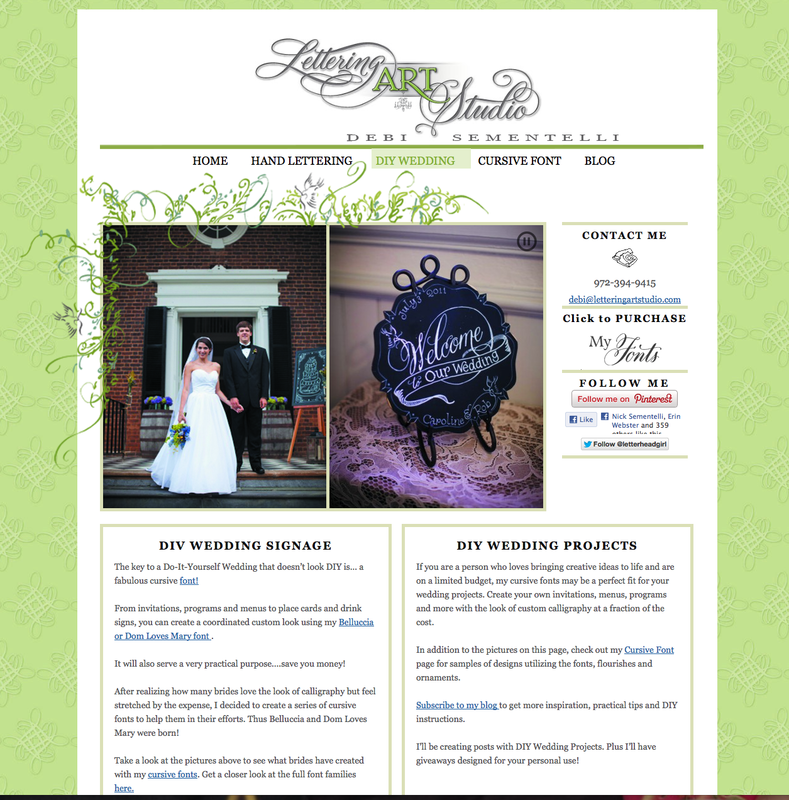 This is the DIY Wedding page. I’m all about helping DIY Brides have the look for less using my calligraphy fonts ! 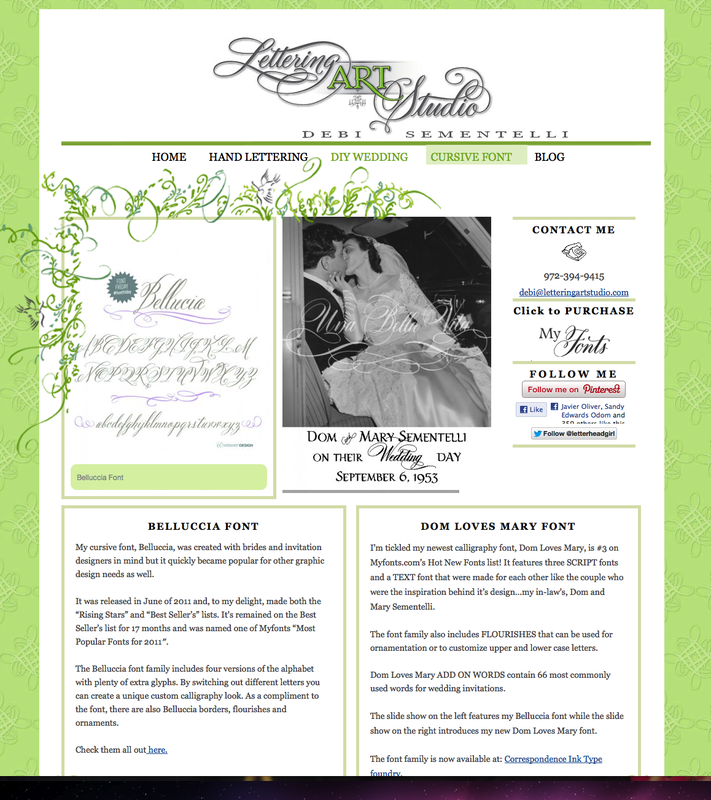 And of course there’s my Cursive Font page that features Belluccia and Dom Loves Mary with lots of pics to peruse. Don’t they look nice together? 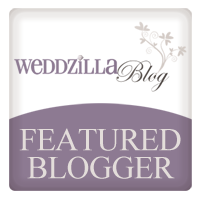 And last but not least, is my new Blog page. Starting next week I’ll only be posting on the new blog, with a link to it from here. Thanks from the bottom of my heart for still hanging with me. 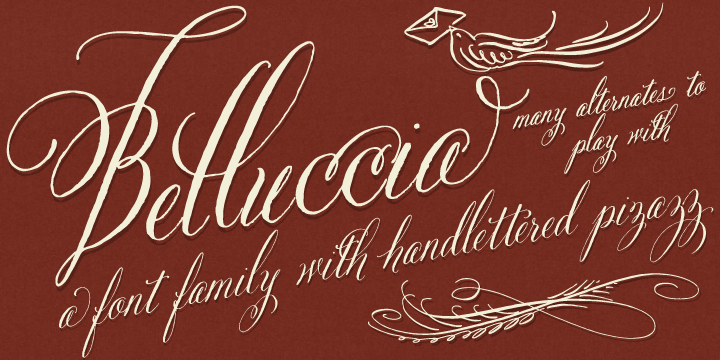 Check out my current two calligraphy fonts Belluccia and Dom Loves Mary here. 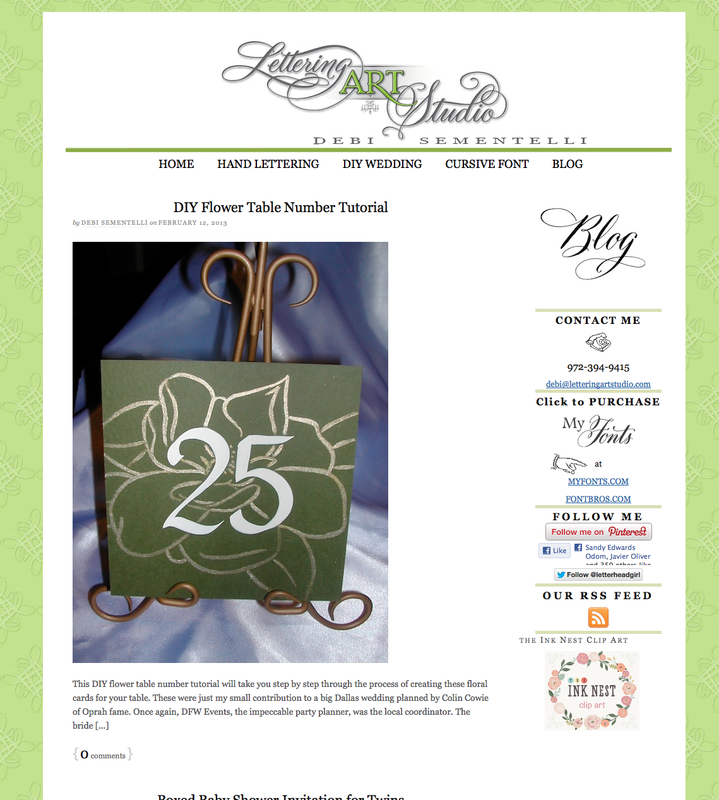 Previous DIY Flower Table Number Tutorial Next Free Calligraphy Valentines! Ooops! Will have to see if Alex can fix that!